It's easy to be fooled by unethical breeders. 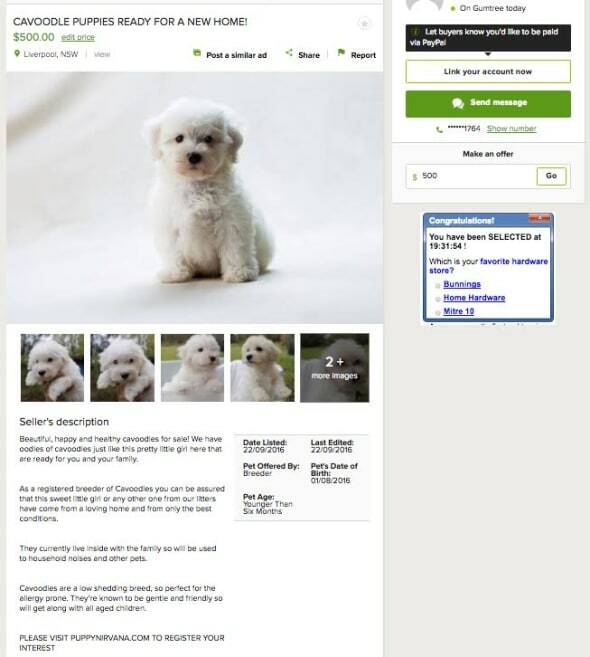 On Gumtree, you find a listing for cute, fluffy cavoodle puppies for sale by a woman who describes herself as a registered breeder -- sounds good, huh? This carefully crafted ad below is actually an RSPCA NSW and Animal Welfare League NSW sting to show buyers how easy it is to be fooled by an unethical breeder. Do you see anything suspicious about this ad? RSPCA NSW Chief Inspector, David OShannessy said the ad, which attracted about 100 inquiries on Gumtree, showed how easy it was to withhold information. "The warning lights should go off when you see there is limited information," OShannessy said. "It's a remote contact, delivery will be arranged, there's a limited ability for prospective puppy buyers to engage in any real level to ascertain history like where the puppy was bred, how many litters has mum had previously, that sort of thing." OShannessy said puppy farms could unscrupulously offload puppies online but tip offs to the RSPCA could lead to their closures. All dogs deserve happy homes. "There is no formal registration type process for breeders and there aren't any checks or balances done on these online forums. The ease with which puppies are sold through those channels are alarming. "You can have a fluffy, healthy puppy when you take delivery but it's quite possible that in the 24 hours before you took care of that animal, it was living in very unhygienic, overcrowded conditions with inadequate medical care and could have lifelong health and behavioural problems." OShannessy said anyone who thinks they might have dealt with an unethical breeder could send a tip to the RSPCA for them to follow up. "We've had a hand in closing down some puppy farms but there are still more." The RSPCA defines it as an intensive dog breeding facility that is operated under inadequate conditions that fail to meet the dogs' behavioural, social and/or physiological needs. As for prospective puppy owners, OShannessy said it was best to buy your pup from somewhere with more certainty. 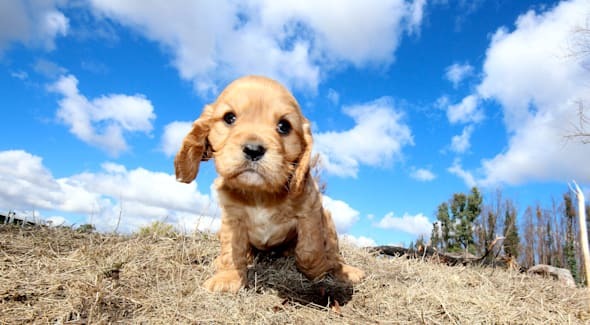 "Perhaps look at welfare options like the RSPCA or other providers, or if you want to buy a puppy from a breeder, engage with them so you can ask a series of questions to ensure you're not unwittingly or unknowlingly supporting unethical breeders."